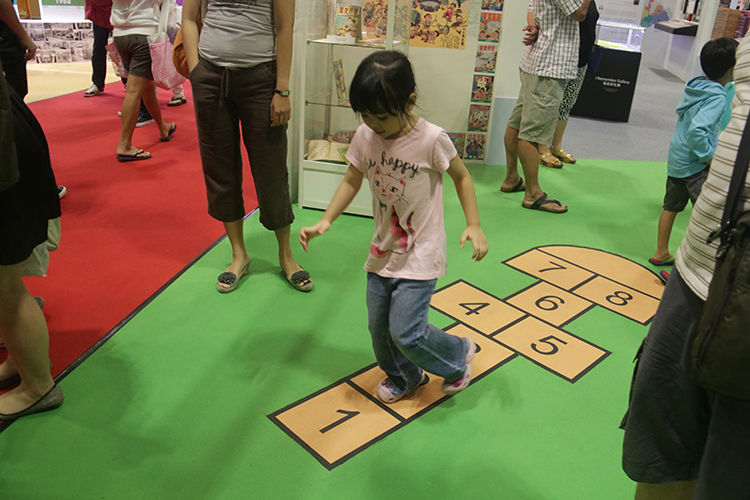 Did you catch our exciting debut at BookFest@Singapore 2014? 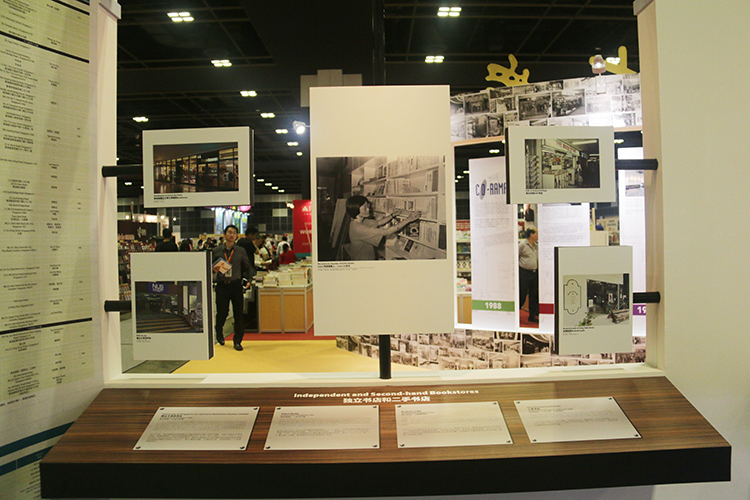 Our “I Remember Gallery”, with its grand museum façade, led visitors on an exciting journey back through time to see how the bookstore landscape had changed over the years. 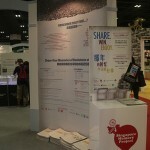 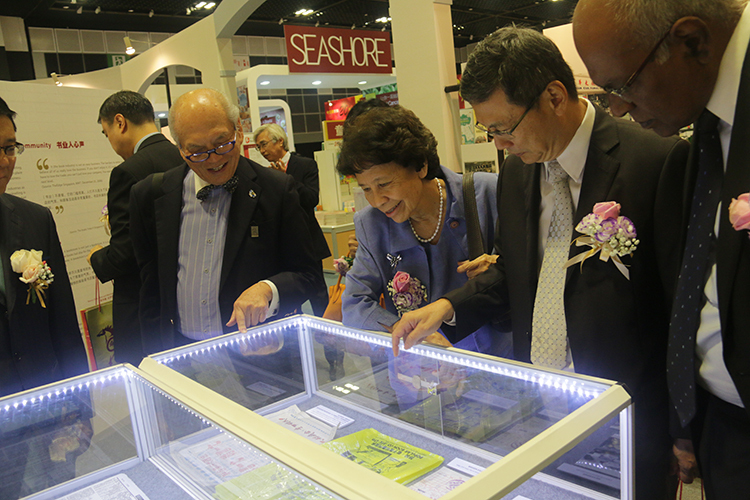 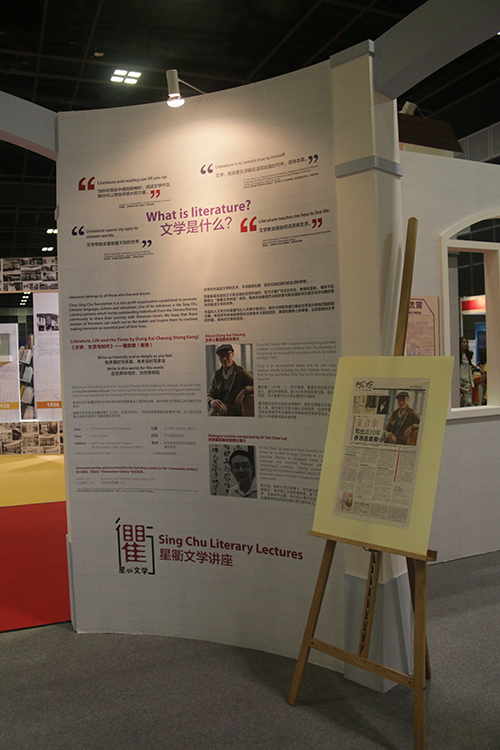 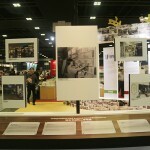 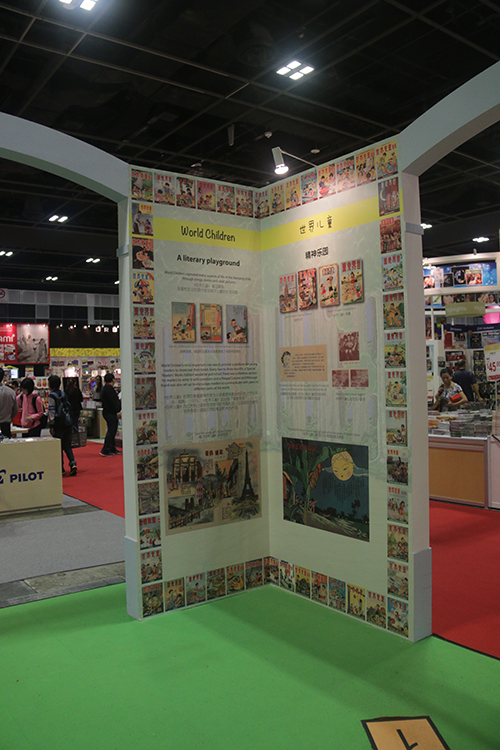 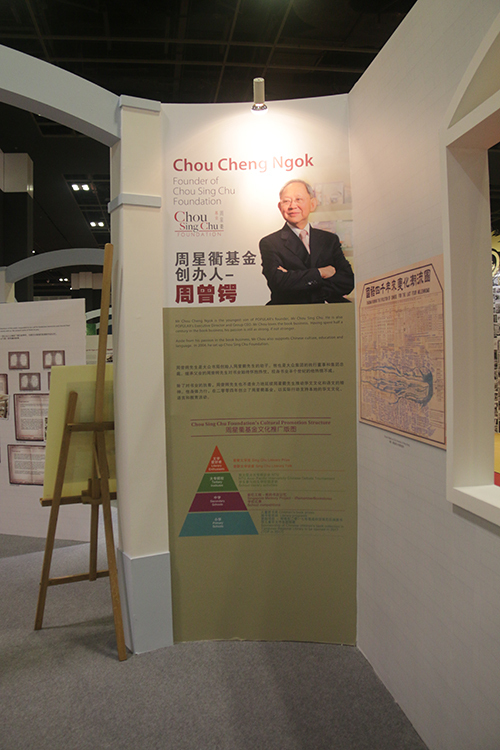 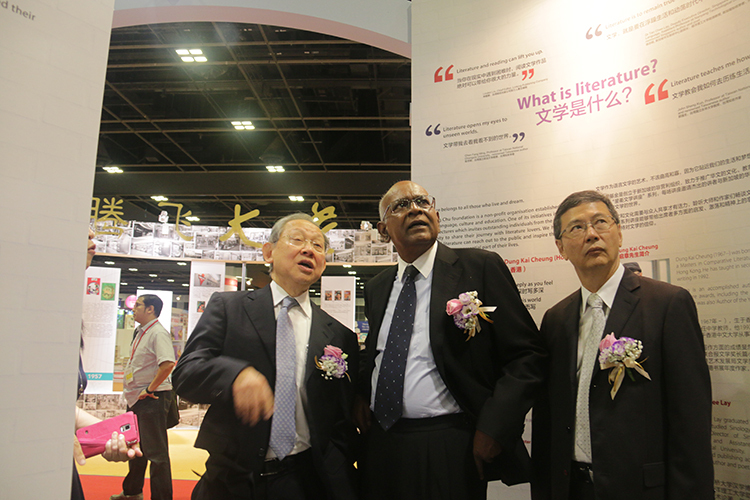 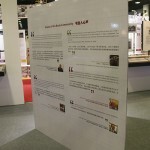 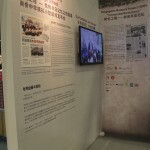 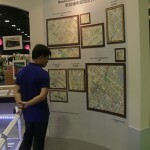 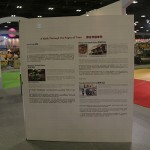 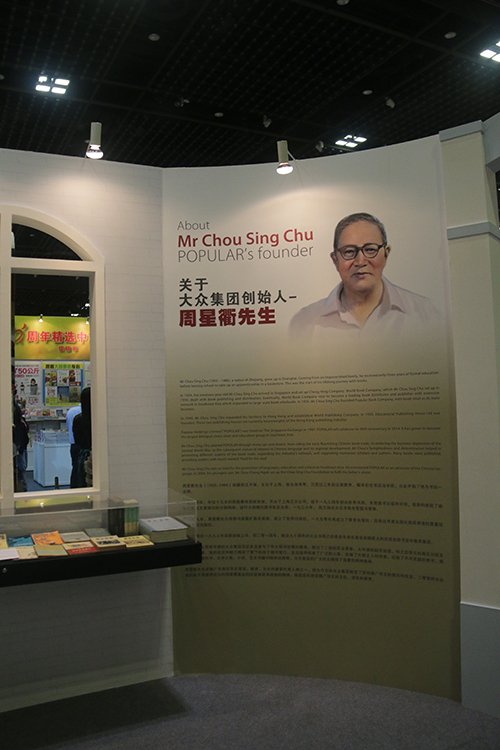 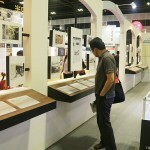 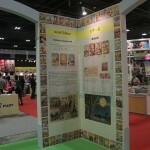 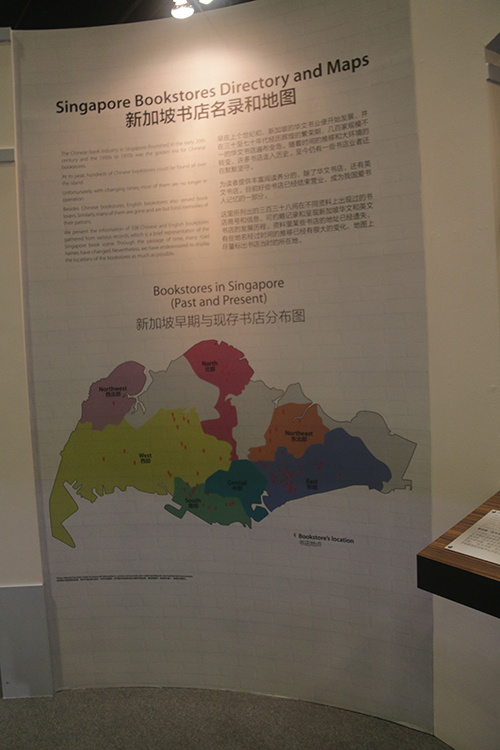 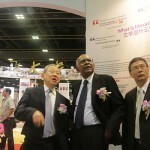 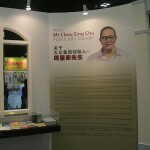 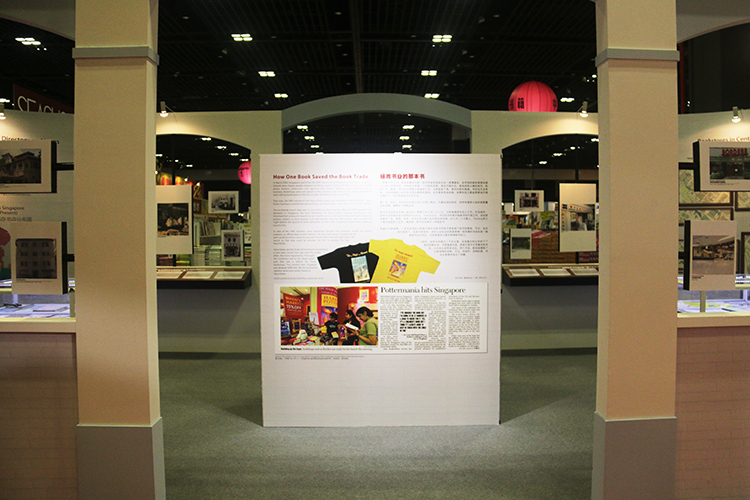 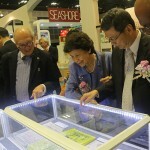 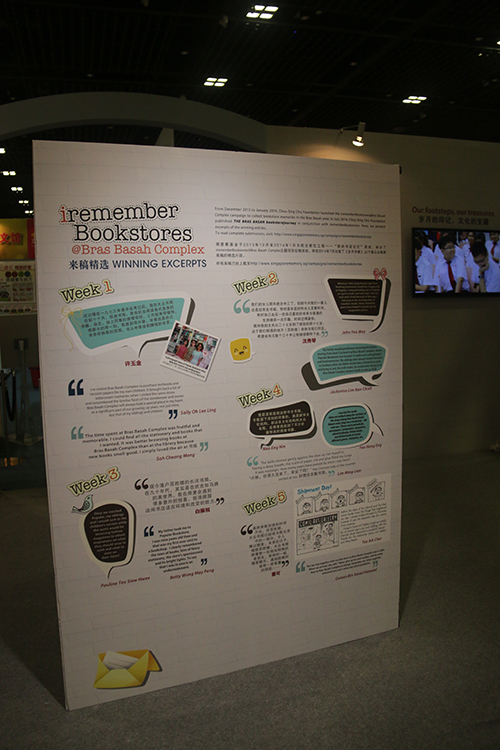 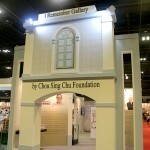 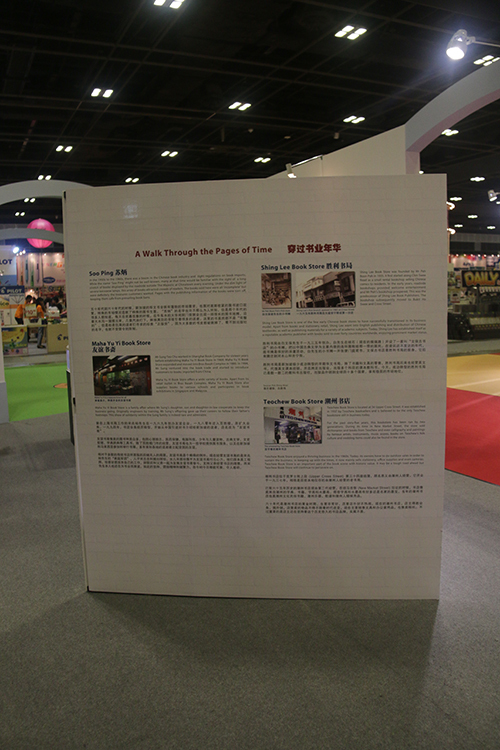 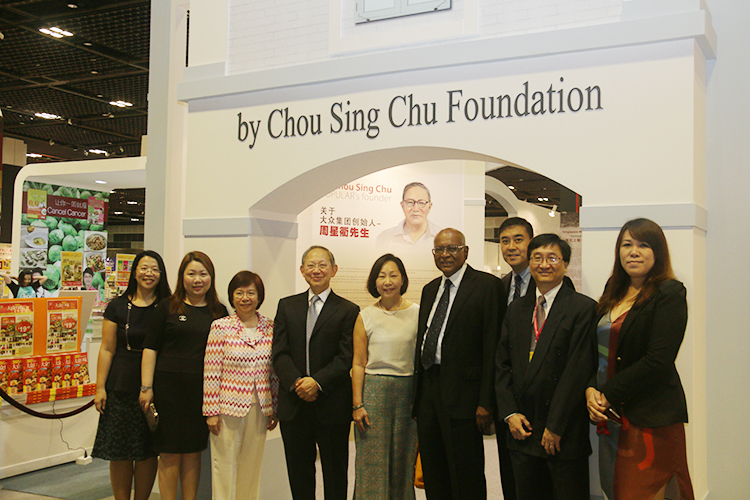 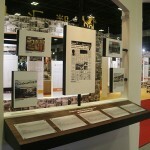 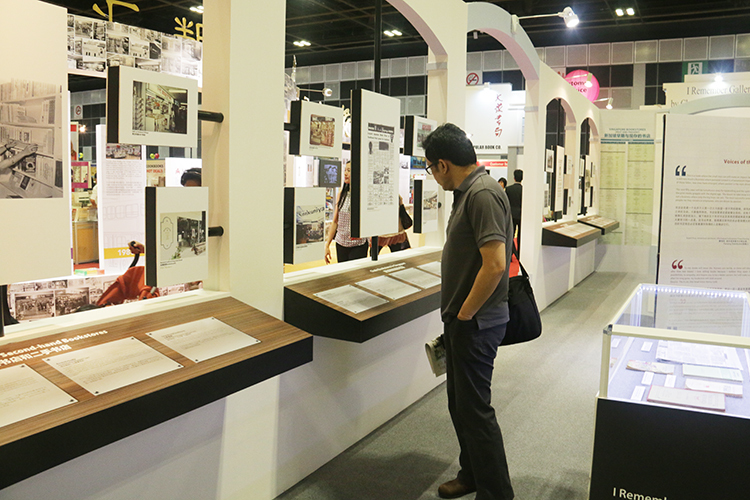 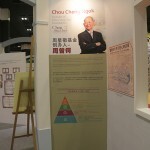 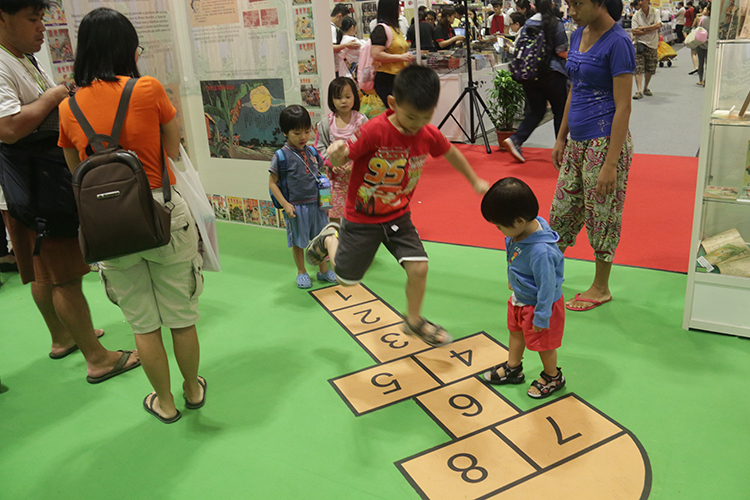 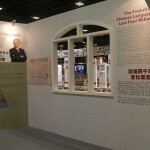 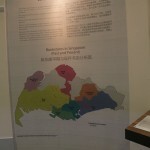 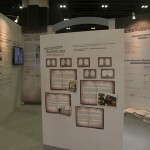 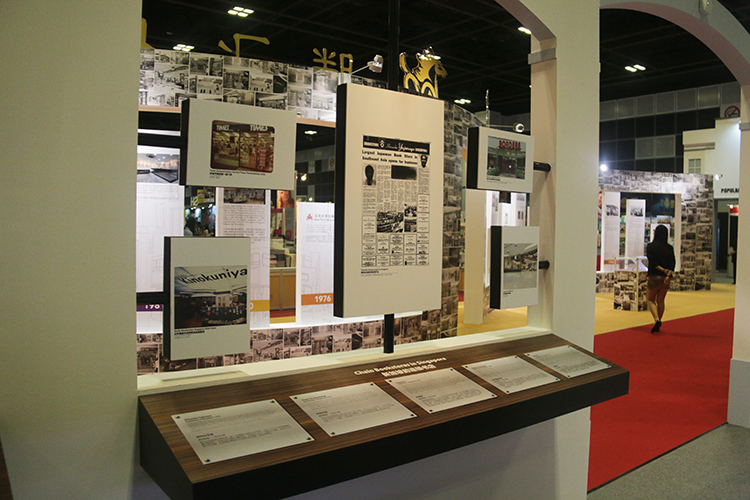 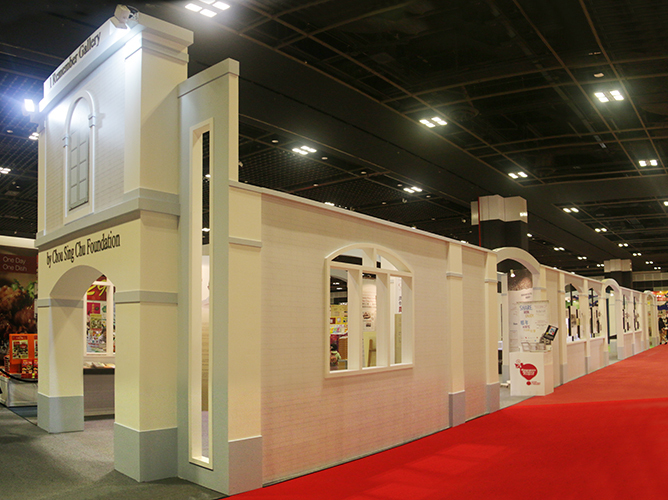 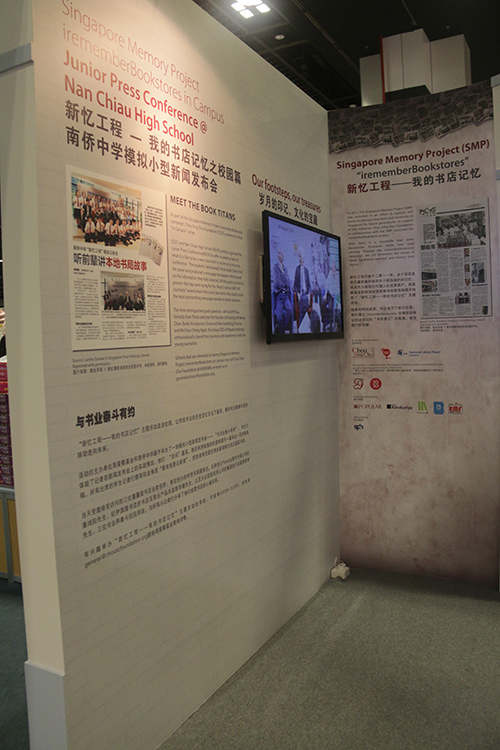 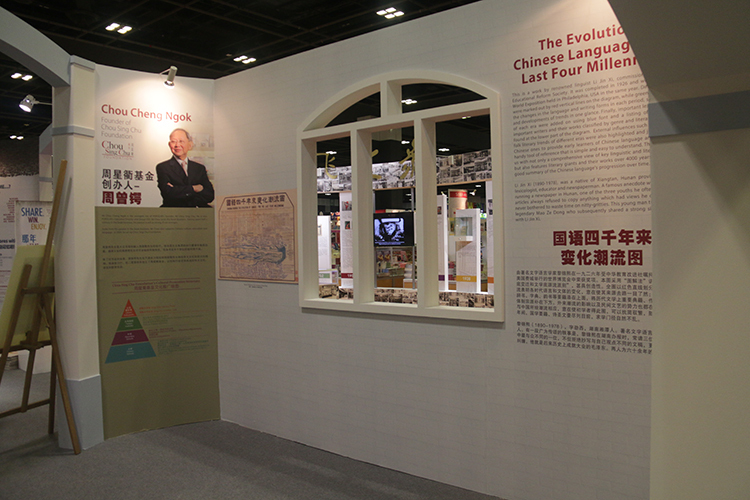 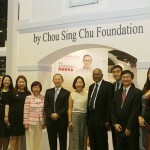 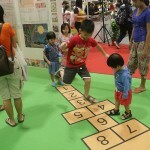 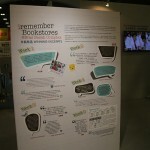 CSCF proudly presented its debut exhibition at BookFest@Singapore 2014! 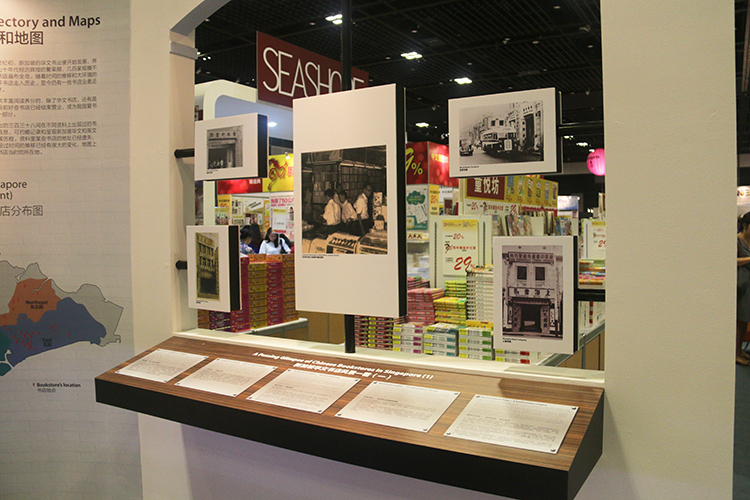 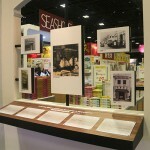 Our “I Remember Gallery” showcased artefacts from past bookstores such as old publications, receipts, vouchers and photographs. 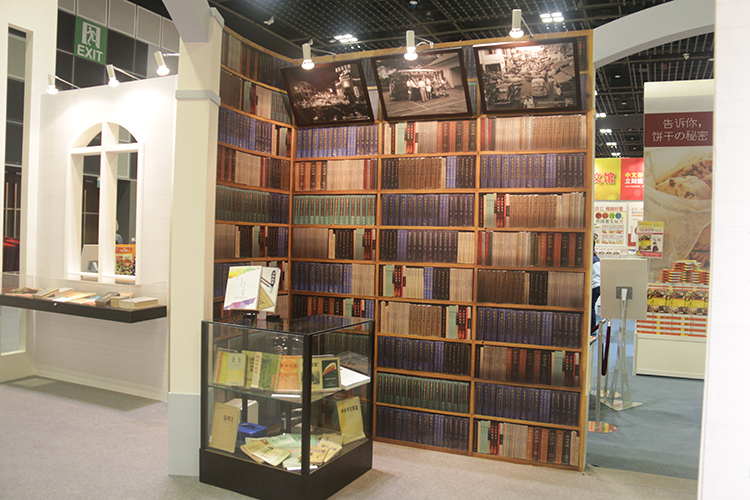 A corner of the gallery was even made up to look like a bookstore with an enormous backdrop of towering shelves of old books. 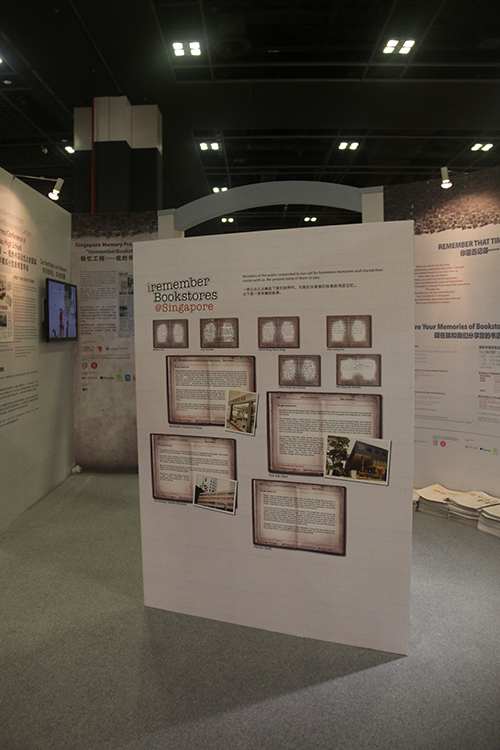 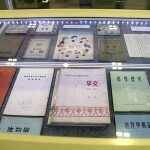 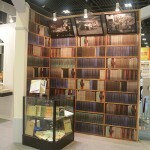 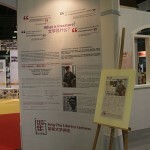 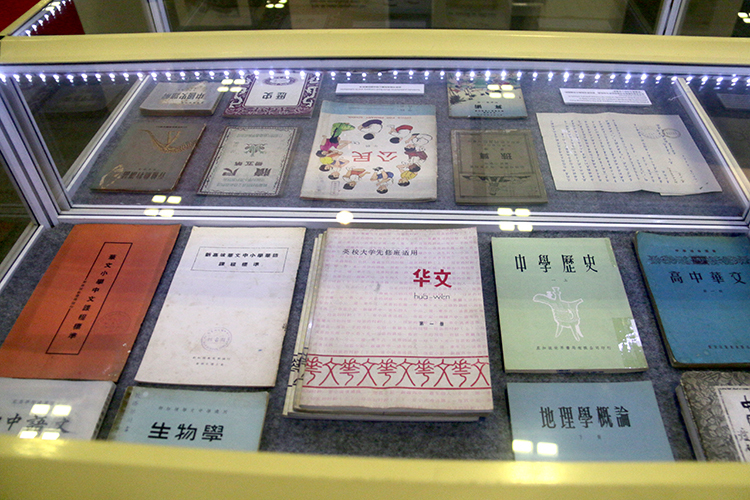 Many visitors stopped to admire the ‘life-like’ books and even took photographs as a memento. 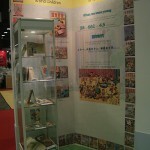 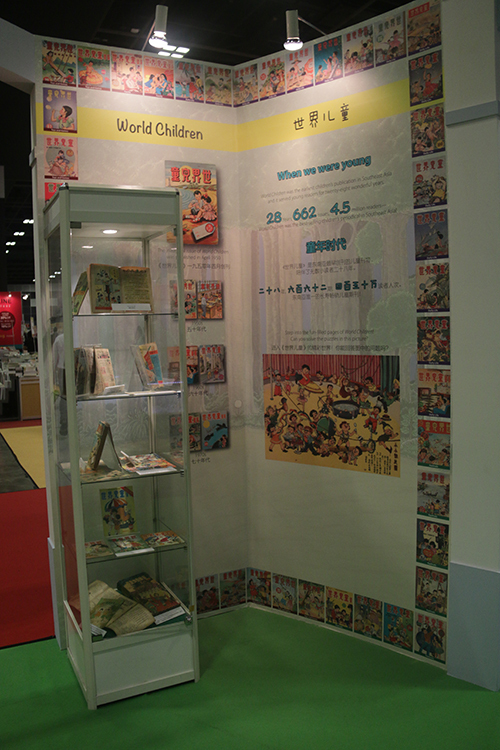 The ‘Children’s Corner’ featured early Chinese children’s periodicals and our display of World Children was a hit with its past readers. 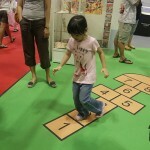 Young visitors also enjoyed themselves on the hopscotch pattern etched into the middle of this corner. 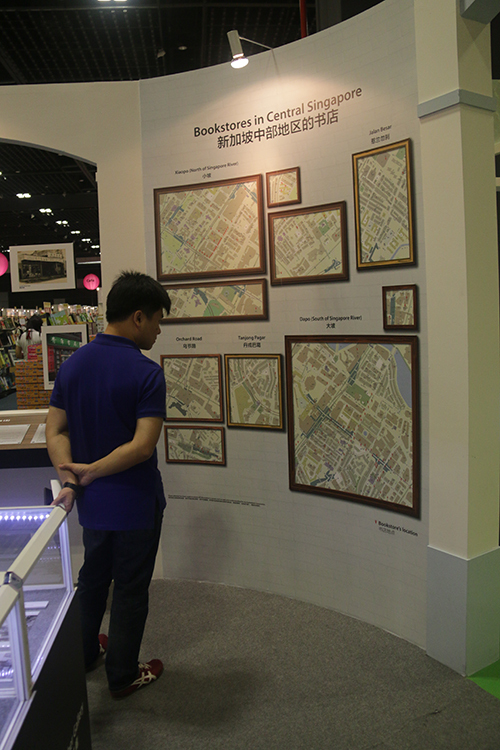 In the ‘I Know That!’ Challenge, $1000 worth of book vouchers was up for grabs simply by answering 10 questions regarding past bookstores. 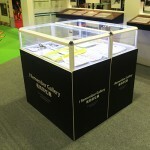 All the answers could be found on the panels of the gallery but they were, by no means, easy! 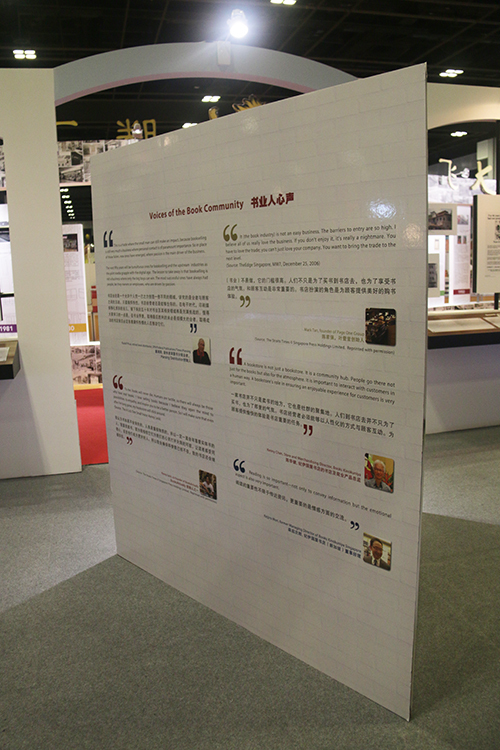 It was really encouraging to see visitors of all ages earnestly scrutinising the information on the walls to find the answers. 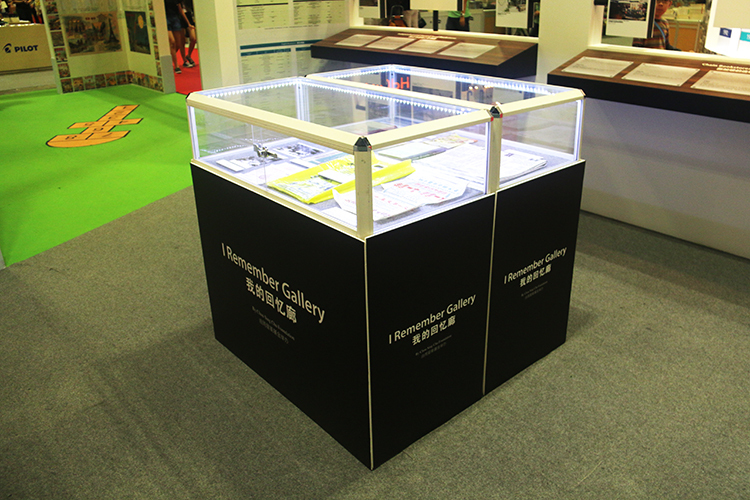 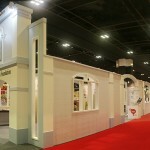 It was a memorable first exhibition. 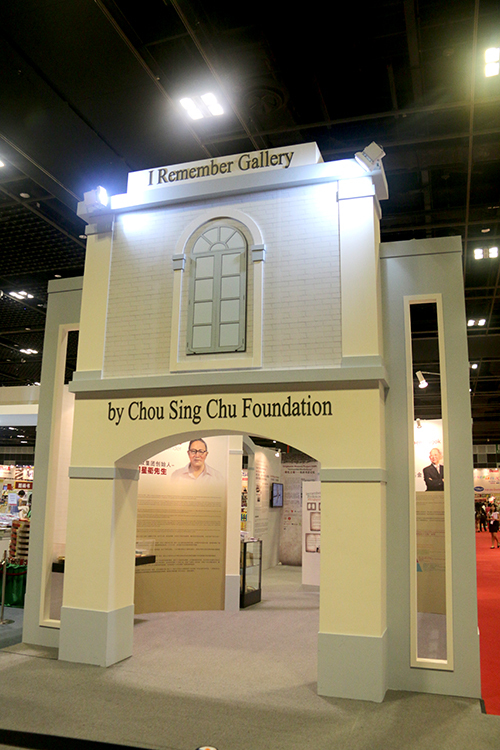 A big thank you to all who have walked through the “I Remember Gallery” and to those who have shared their own memories with us. 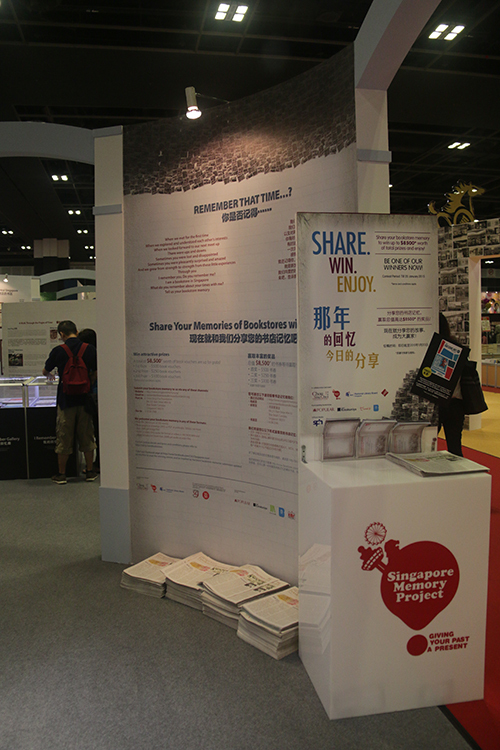 Your support and enthusiasm have inspired us to do more! 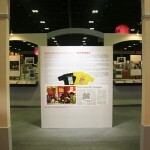 Do look out for our next exhibition!